PESHAWAR: “Bring a barber to hujra and get the children heads shaved”, A white bearded 60-year-old man Umer Khan Kaka shouts at his son. 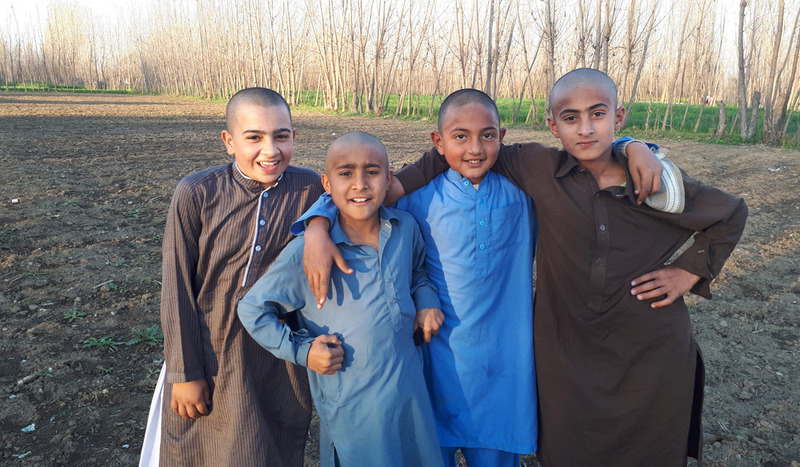 It’s an old belief in Pashtun society that shaving heads in spring amplifies mental health and also recuperates hair strength which is lost by complications such as lice, dandruff, hair-loss and other hair problems etc. The people especially elders believe that shaving head in the first days of the spring carries very positive and strong impact on mental health. Hayat Roghani, a famous writer of Pashto and lecturer in Bacha Khan University Charsadda claimed that seasons had a very strong impact on the human physical and mental health. “Naturally humans are bound to nature, in fact the weather frames the mood of humans and also strengthens the human mental and physical health”, said Roghani. Roghani added that several Pashto folklore authors had written about the influence of shaving head in their books, a few examples are Prof. Parweesh Shaheen, Dr Dawar Khan Dawood and Darwish Durani. In ancient days, the prisoners were kept in prison with their heads shaved as a form of humiliation and to prevent the spread of lice as well. In World War II, thousands of French women had their heads shaved in front of cheering crowds as punishment for collaborating with the Nazis during the war. Some Finnish women also went through this same act for allegedly having relationships with Soviet POWs (Soviet prisoners of war in Finland) during World War II. Umer Khan Kaka told Truth Tracker/News Lens Pakistan that shaven head brings harmony and relaxation to the mind. “After shaving head, the people oil (brassica) or butter their heads every morning for 15 to 20 days”. Kaka also said, “When I was a child, my father brought a barber to our hujra and get the heads of all children shaved. He also insisted to get my head shaved every month so that I also could get better hair and mental health”. Abubakar, a student, told News Lens Pakistan, “When spring started I and my two friends had got our heads shaved believing that It would strengthen the hair and eliminate the dandruff. “I smeared my shaved head with brassica oil every night and then washed with shampoo in the morning, I got rid of dandruff and also got strong hair”. In KP, it is known that when a young man gets his head shaved, people strikes slightly with their fingers on his head with words “Katway Pakha da (you have a strong head)”. The barber shops are swarming with customers who want to get their heads shaved when spring starts. Hanif Jan who runs his barber shop in rural area of Charsadda said that a huge number of people came to him in spring to get their heads shaved. “I hired two more helpers to shave heads because of the large number of costumers”, said Hanif. In this modern era, youngsters don’t like to get their heads shaved. Most of the people keep long straight hair. They use expensive shampoos and gel to make their hair look stylish. Umer Khan Kaka said that we should get our heads shaved once in a year to make the hair strong and shiny. “Proper massage with oil relax the brain and regulate the circulation of blood”, He further claimed. Dr Khawaja Younas, Psychiatrist in DHQ Charsadda, talked about mental health and how people blindly believe the misconceptions that are deep rooted in society while medical science denies all these misconceptions. “Seasonal affective disorder is type of depression that begins and ends at the same time every year”. “There are several misconceptions among the people and the impact of shaving head is one of them” said Khawaja Younas.